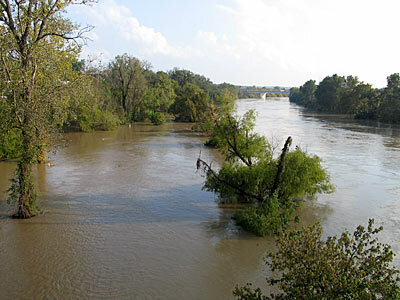 On November 23, 2004 the Colorado River flooded after heavy rains throughout Central Texas. 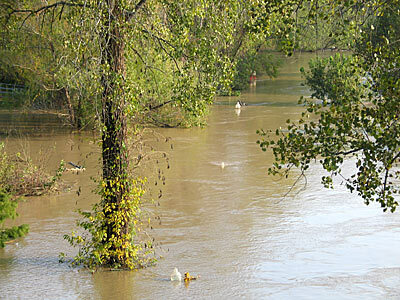 The Colorado River rose and crested at Bastrop at a level of 31.58+ feet--8 feet above flood stage. 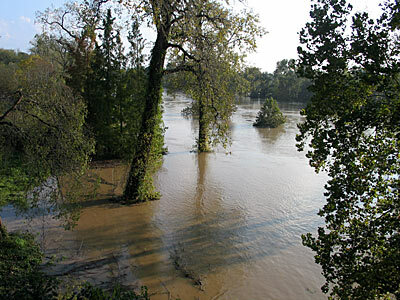 Sitting high above the river, the city of Bastrop received little damage; however, Fisherman's Park and the Riverwalk were flooded overnight. Since Fisherman's Park and the Riverwalk are adjacent to the river, both were built to withstand flooding. 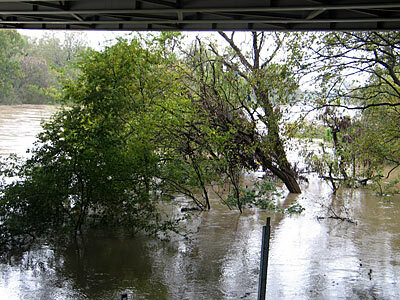 Pictures show the flood mid afternoon on November 23, 2004. 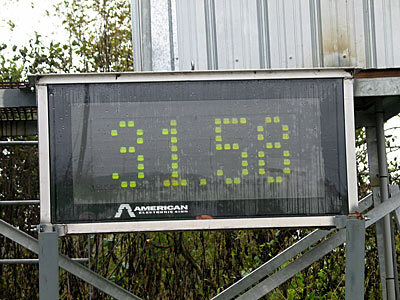 The Colorado River rises to 31.58 feet at 10 a.m. November 23rd. Scene at the Riverwalk--note the tops of the light poles. Row of Trees at the edge of the River Walk.